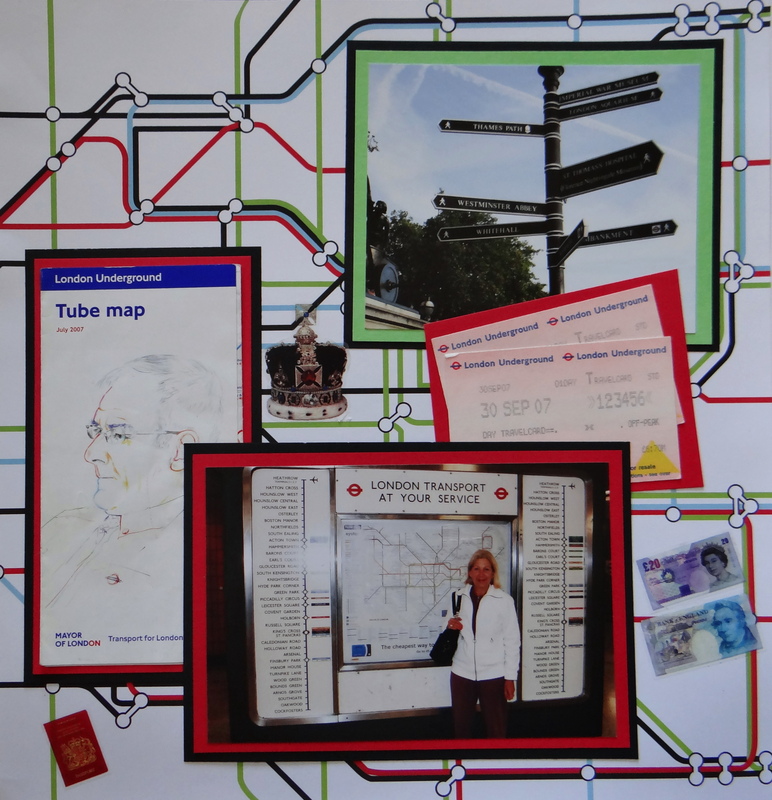 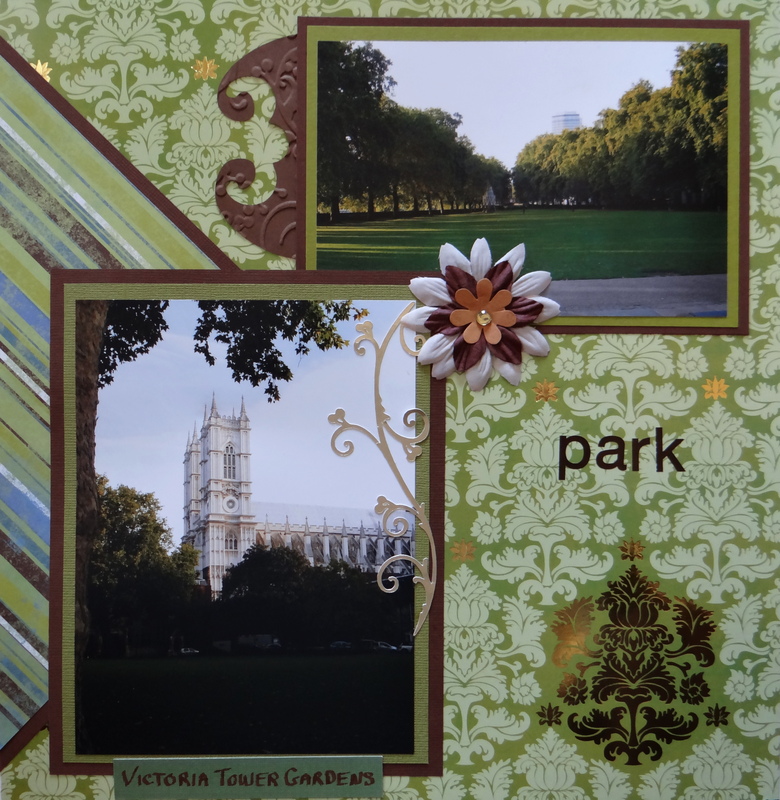 There are travel scrapbook ideas in this album of a trip to London, England. Inspiration: I have always wanted to see Big Ben and it was gold in the morning light. 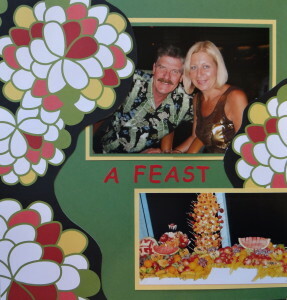 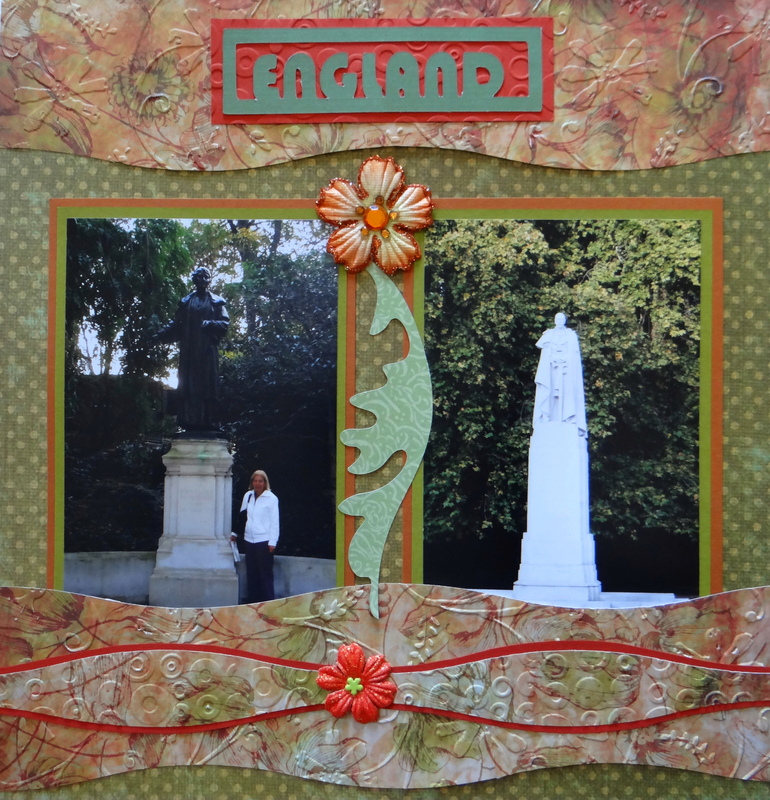 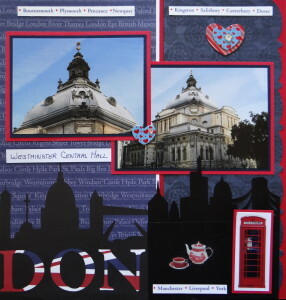 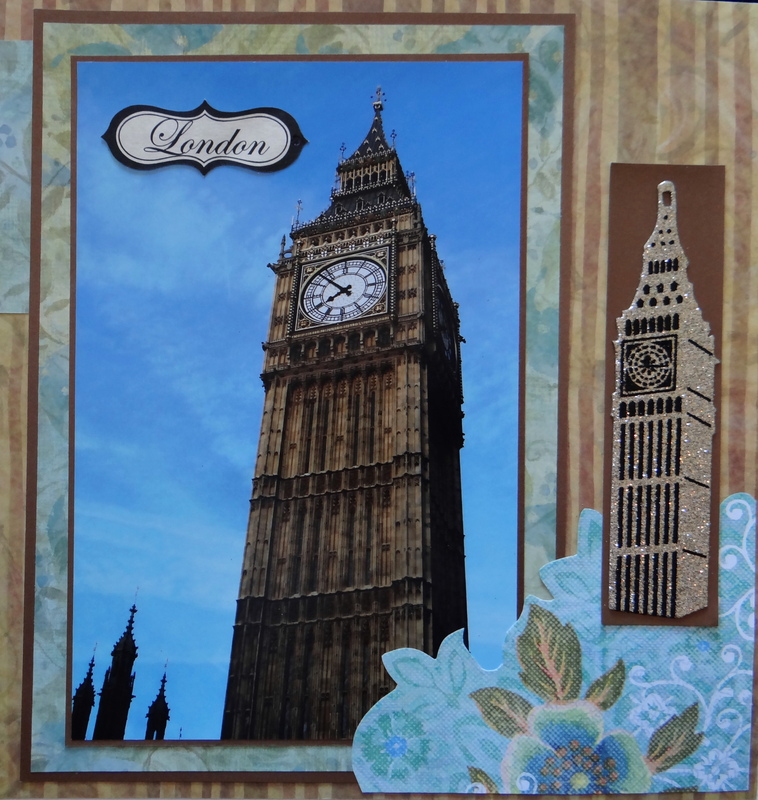 It inspired the color for this London scrapbook page. 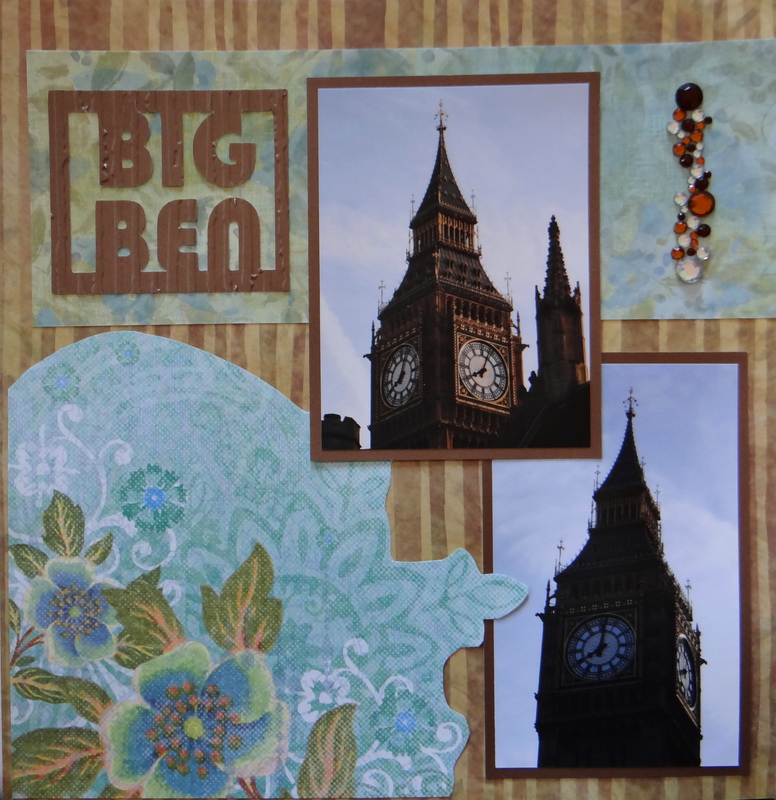 The title Big Ben is from Cricut’s Destinations cartridge. 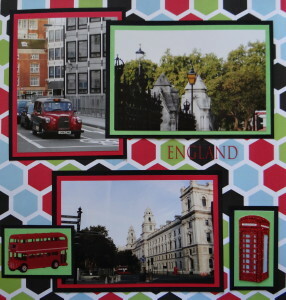 The scrapbook paper is from K & Company. 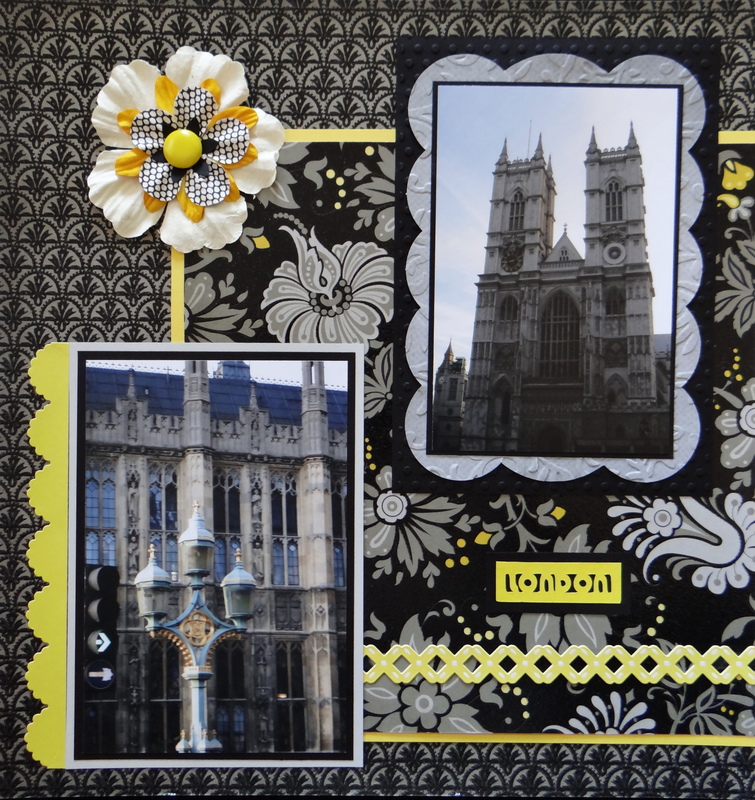 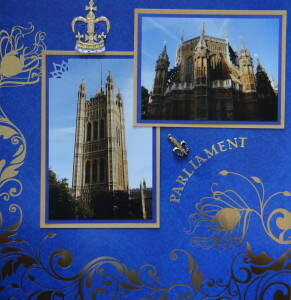 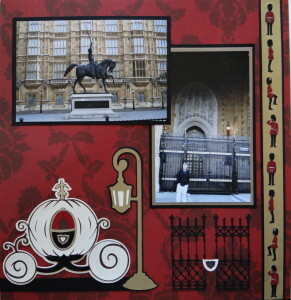 Inspiration: The beautiful golden Parliament buildings at sunrise gave me a color theme for this London scrapbook page. 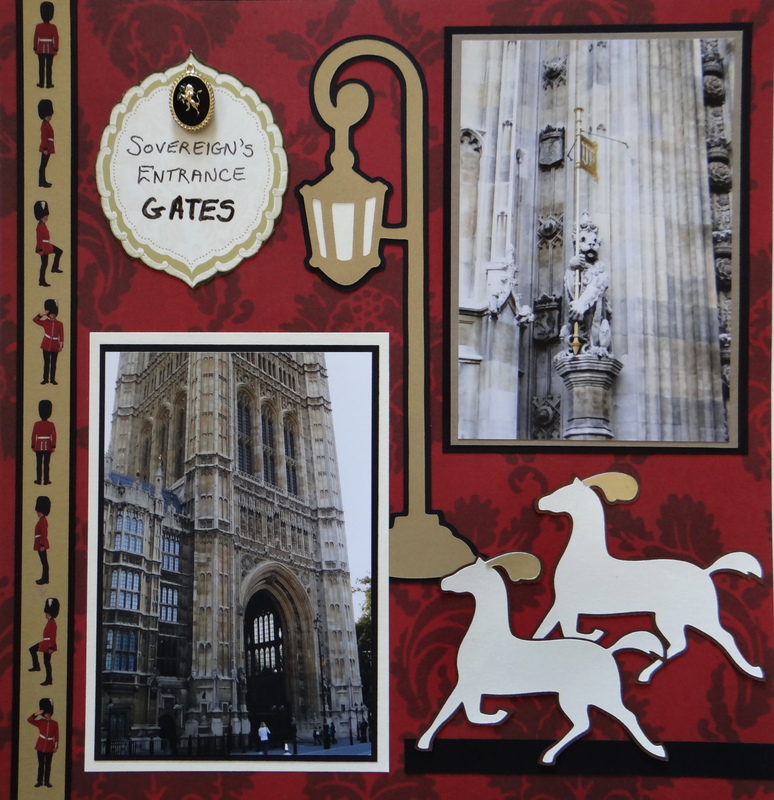 These are the Sovereign’s Gates, where the Queen arrives to open parliament in a horse-drawn carriage, so that is what I made. 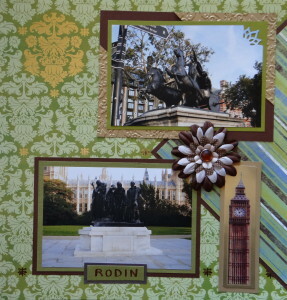 The coach and horse images are from Cricut Disney Happily Ever After. 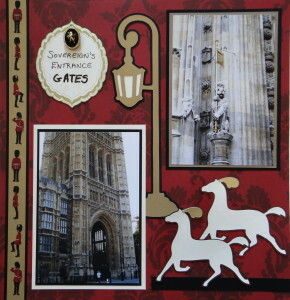 The old-fashioned streetlights are from Heritage and the iron gates are from Ornamental Iron. 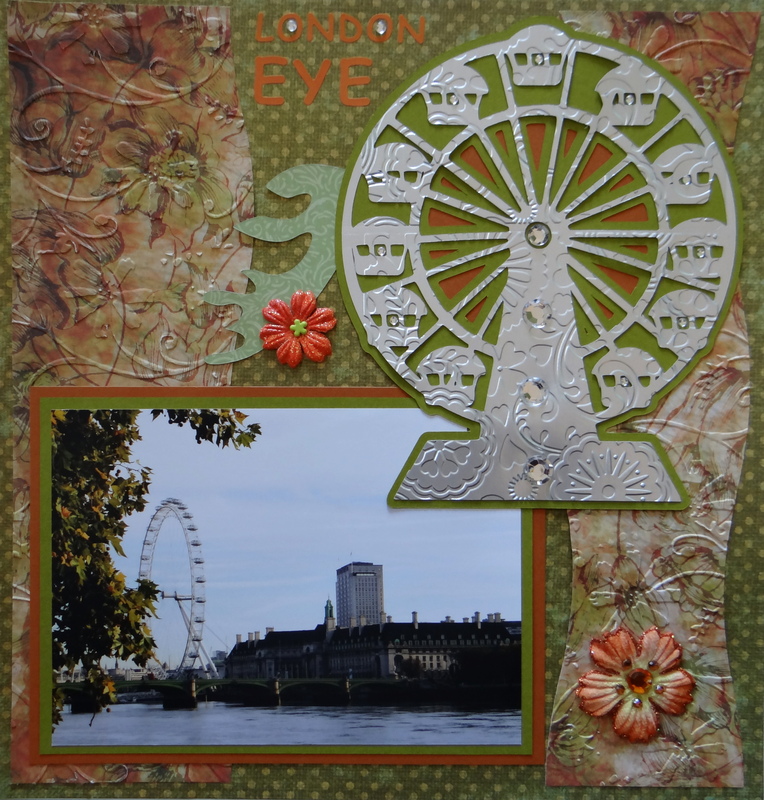 Inspiration: The famous London Eye is so huge it can be seen all over. 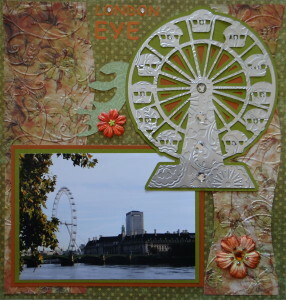 The Ferris wheel is from Carousel and the title “England” is from Destinations. 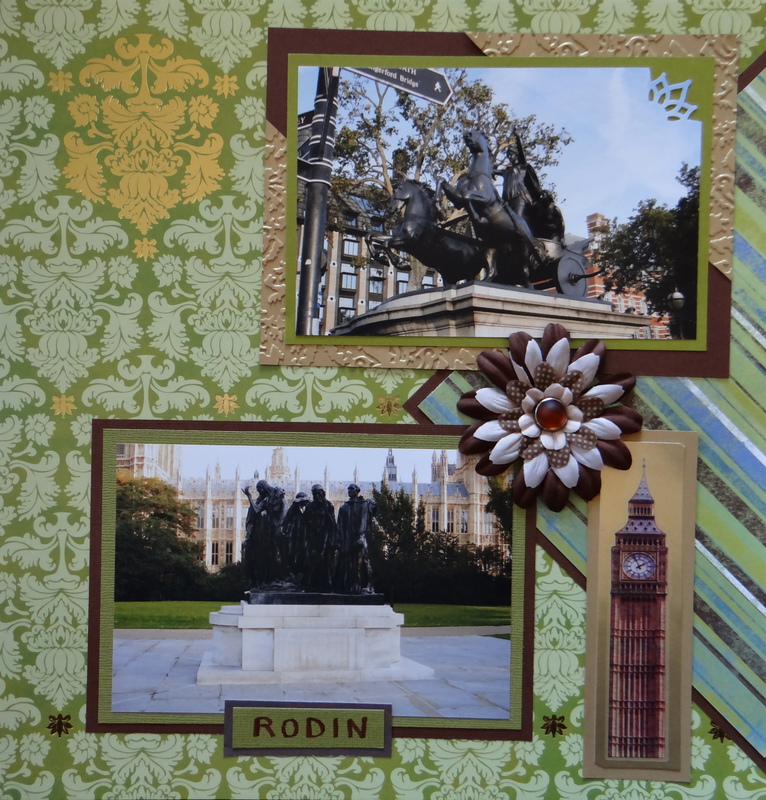 This scrapbook paper is from Studio D First Blush Collection. Embossing foil paper makes it so nice. 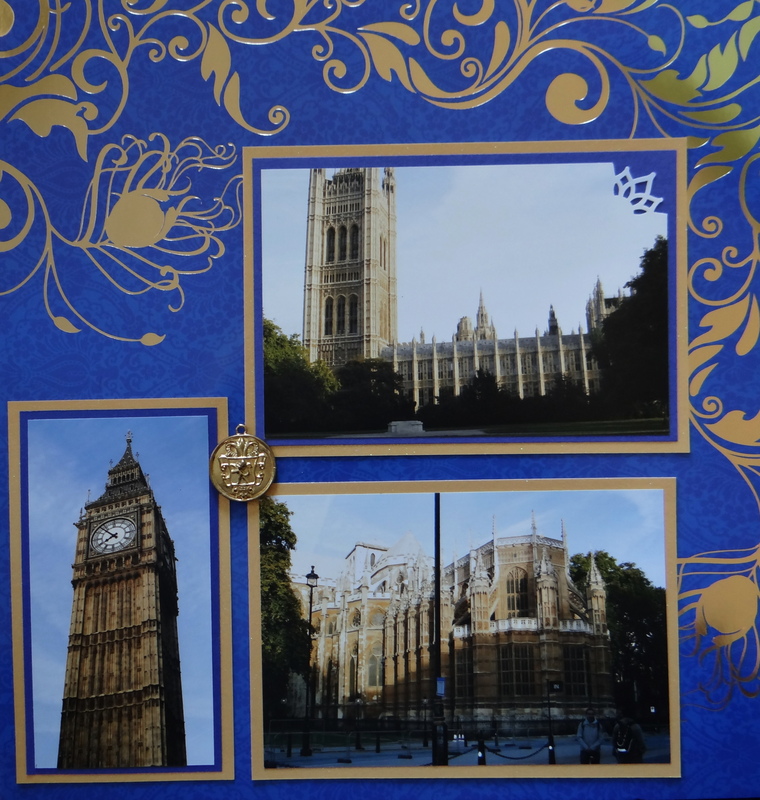 I then bejewelled it. Inspiration: The Parliament building have so much detail that I picked a very textured paper for this page. The scrapbook paper is from DCWV Lemon Flower Paper Stack. The title “London” and the image of Big Ben are from Destinations. 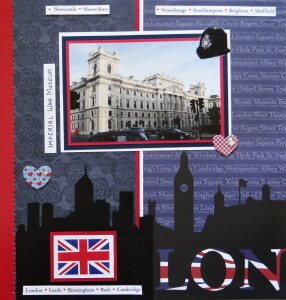 Inspiration: The London paper that I found. 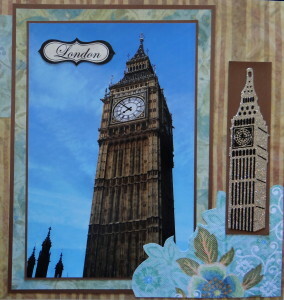 I added scrapbook paper from Cloud 9 Designs Shaped Paper pad to both sides of the London scrapbook sheet. 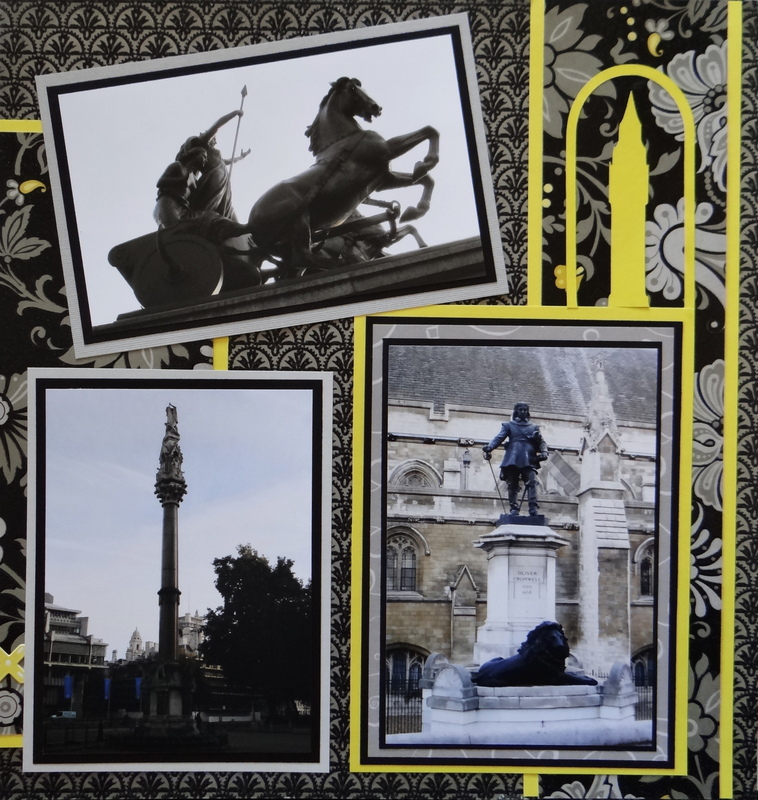 I then added to the skyline on each side. 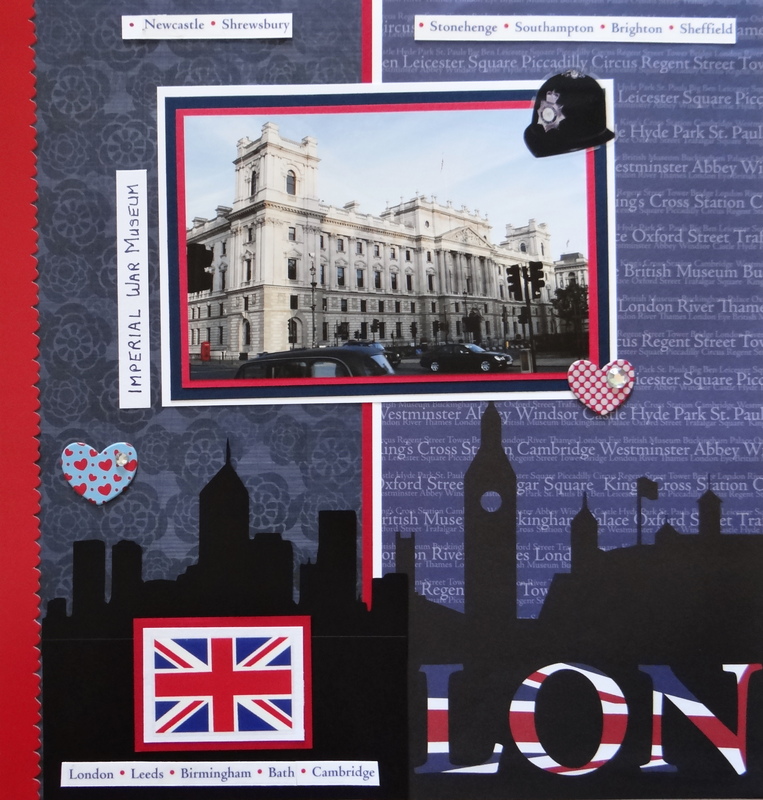 The skyline image is from Cricut Plantin Schoolbook cartridge. 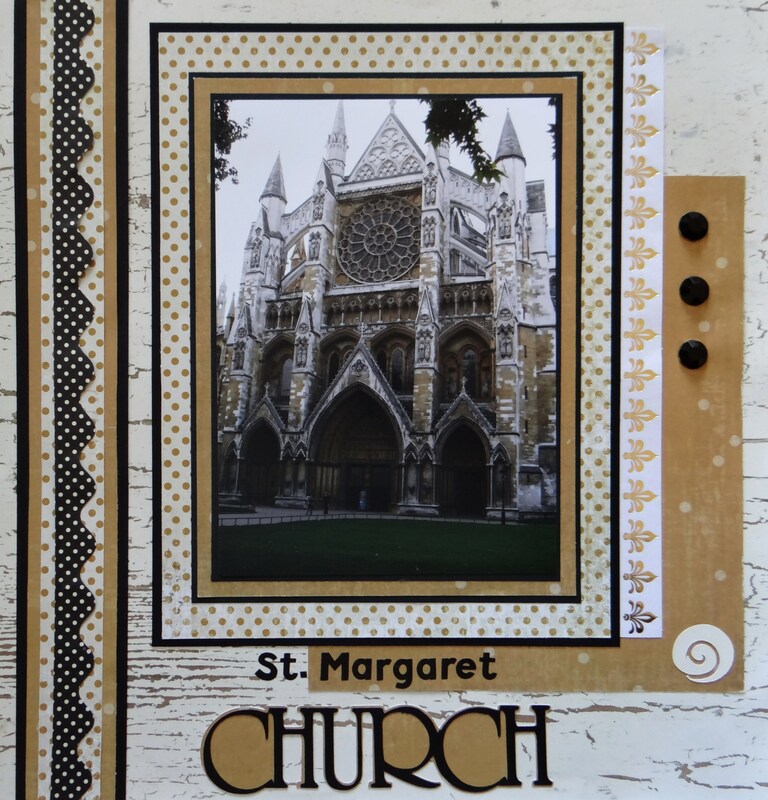 Inspiration: The colour of the weathered stone of St. Margaret Church inspired the paper choice. 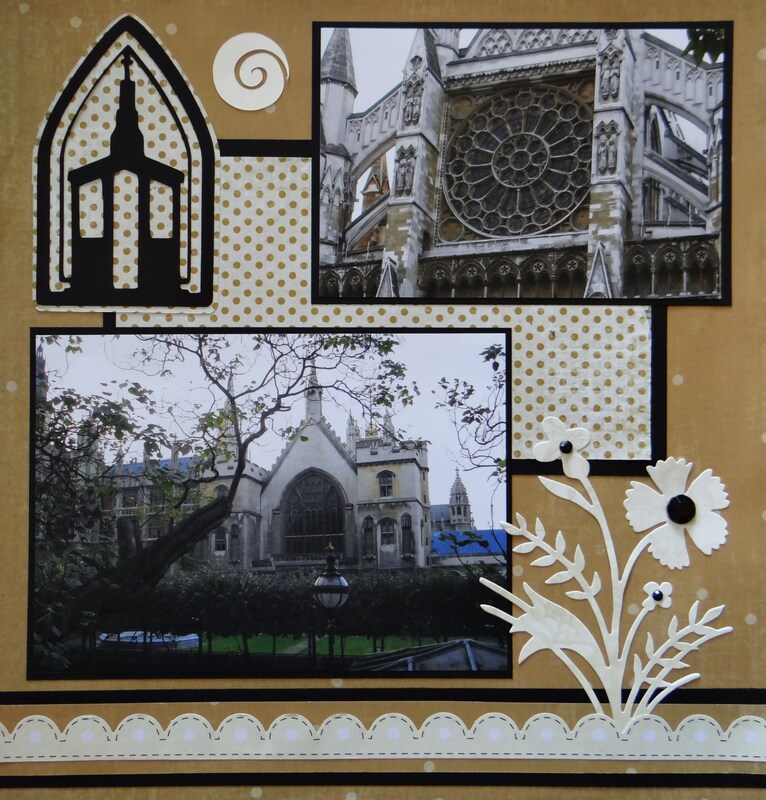 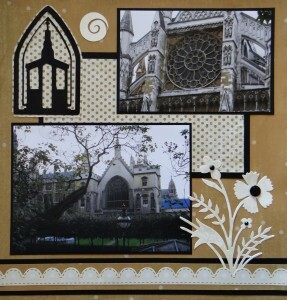 I decided on a church theme for this London scrapbook page. 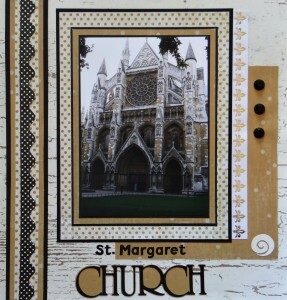 The title “Church” and the church image are from Inspired Heart. 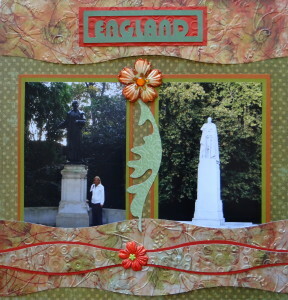 The scrapbook paper is from My Mind’s Eye Antique Dots Paper Pad. 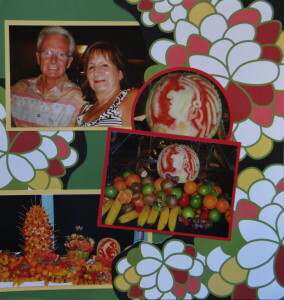 Inspiration: The fruit buffet on the cruise ship. 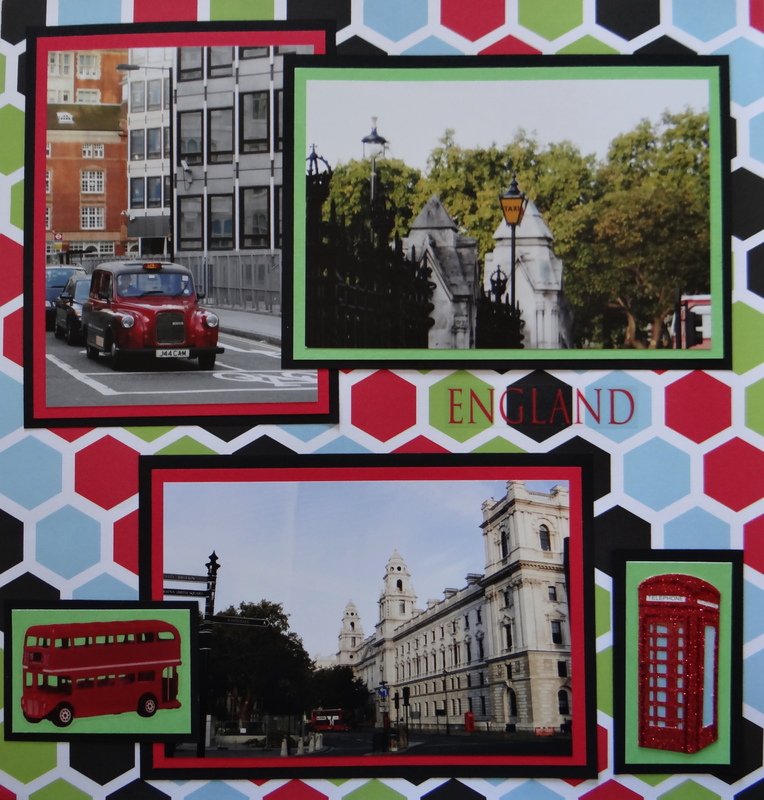 I just cut up a pretty sheet of paper and placed the pieces around 2 pages.